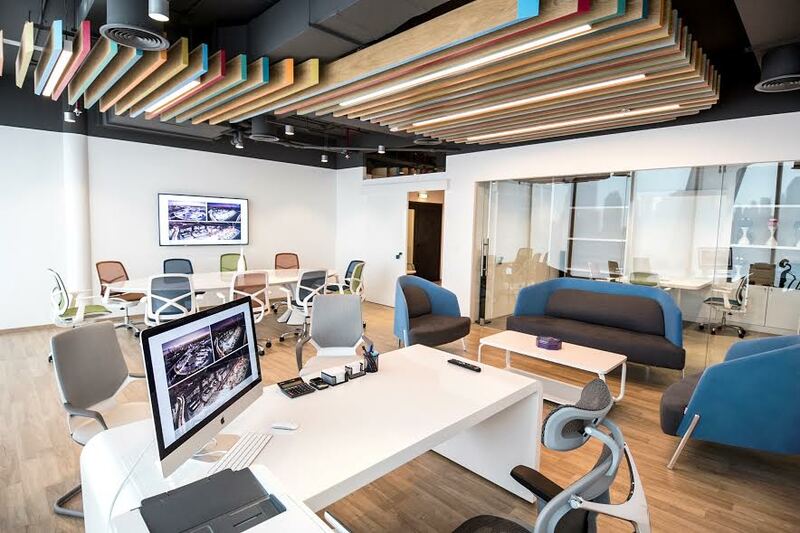 Dubai: NDIGITEC, the leading UAE-based creative production company, has opened its new lounge at Dubai Design District [d3], the region’s most prestigious creative design hub. The lounge at d3, the first-of-its-kind in the region, is a meeting point of creativity and technology, showcasing the latest Augmented Reality and Virtual Reality content in its dedicated demo room. NDIGITEC’s lounge is designed to inspire creativity, stimulate innovation and highlight the company’s core competencies as well as offer hi-tech technologies to relevant stakeholders as a step to boost customer interaction. The lounge cements NDIGITEC’s reputation as the preferred creative production partner in the UAE and across the region. The Augmented Reality and Virtual Reality content on offer at the lounge open up exciting new possibilities for all brand owners and media requirements. A glimpse of the AR/VR content in the demo room was showcased at the NDIGITEC’s web2print platform Dubaiprint.com print lounge at d3 during the Dubai Design Week organized recently. Dubaiprint.com also rolled out existing offers and attracted hundreds of visitors to its premium print lounge during the event. “NDIGITEC has ambitious expansion plans and the inauguration of the company’s lounge at Dubai Design District is a step in that direction. We plan to invest more in NDIGITEC Premedia as we see tremendous potential for our solutions in the region,” said Vatche Kavlakian, CEO of NDIGITEC. NDIGITEC Premedia can also develop Augmented Reality and Virtual Reality content to help design companies at d3 and beyond, to test their concepts in real time. The lounge offers a vibrant ecosystem that enables NDIGITEC’s customers, the state-of-the-art space to explore ideas beyond boundaries.